There used to be a time when the riff was the protagonist. The riffs were simple in their structure and yet so effective in carrying the entire song forward. That time is described by many as the golden era of heavy metal before the technological advancements changed the game completely. If you are someone who misses the good old days of riff based heavy music, then fret not. 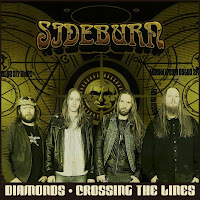 Sideburn, with their heavy stoner rock tunes, take the listeners back to the good ol' days of metal. Hailing from Stockholm, Sweden, this quartet play a brand of riff powered Stoner Metal, with a subtle touch of 70's progression thrown in for good measure. 'IV Monument' is their fourth full length album released on 3rd October 2012, through Transubstans Records. The album explodes with a heavily distorted and groove laden riff in the opening track 'Diamonds'. The guitar riffs sound very old school with a heavy stoner vibe. As mentioned earlier, the riffs are the heroes and they carry the song effectively. With a heavy bass section, one cannot help but swing one's head in tune with the grove offered. What sets Sideburn apart from most other stoner metal bands today is the vocal work by Jani Kataja. Like many things Swedish, this band also has its fair share of melody, especially when it comes to the vocals. The tracks 'Fire and Water' and 'Tomorrow's Dream' continue in the same vein as the album opener, before band kicks into a more mellow mood with 'Crossing The Lines'. The voice of the vocalist suits the heavier tracks and the more mellow ones too. When the band adds that progressive touch to the songs, they create a tune which is a nice amalgamation of old school riffs and progression. The band even manage to dwell into more of a doom metal sound with tracks like 'The Saviour' and 'The Last Day'. With the beautifully rendered 'Silverwing', they show that they have a soft side too, as this is a soulful ballad with clean guitars and moving melodies. While for most part the album is good listen, I just wish they had retained more of the riff based heaviness towards the end. I haven't heard any of their earlier material. 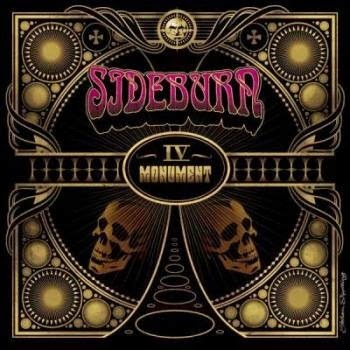 But judging by this album alone, Sideburn have made a wonderful attempt at introducing a progressive edge to heavy stoner rock and have managed to release an interesting and captivating record with 'IV Monument'.